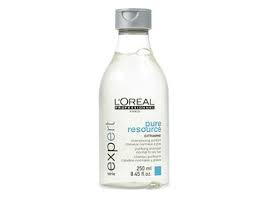 Helps to rid the hair and scalp of styling product build-up, hard water residue and any excess natural oils. A clean sweep for hair and scalp. The purifying aqua crystal formulation, incorporating Citramine, lifts residue and product build-up and rinses away hard-water residues. With the ability to deliver a hydro-lipidic film, this multi-tasking shampoo leaves the scalp feeling clean, nourished and protected.